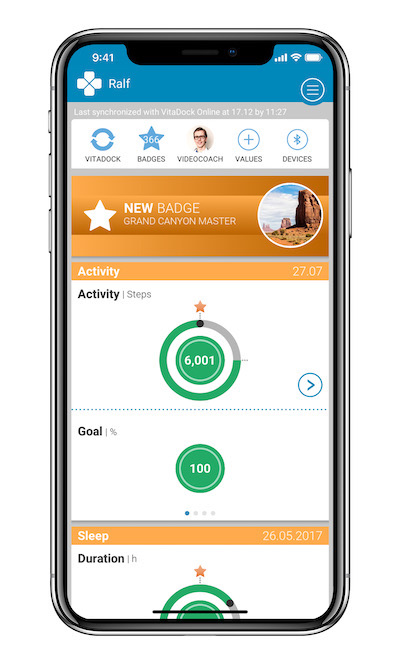 With the VitaDock+ App, all health and vital data can be monitored at any time and anywhere. As a user you can supplement each value with comments and display additional graphs and evaluations. This will make health management even more customized. Now, short texts and other information can be added to measured values. Short texts and other information can be added to measured values. If you have a Facebook account, this can be used to register at VitaDock Online. The data can be presented in the overview in day, week, month and year views. 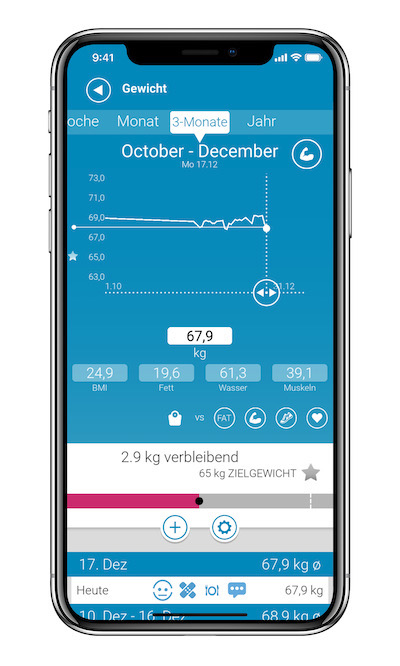 With the free VitaDock+ App for iOS and Android, it is possible to centrally store all measurement results on your Smartphone, and to view them anywhere at any time as clearly structured graphs. 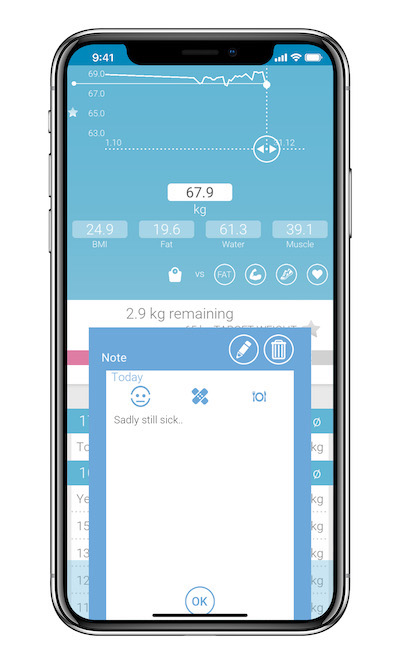 Thanks to the comment feature, the VitaDock+ App is also a full-fledged health diary. Exciting. All vital statistics at a glance.